The South Carolina Workers' Compensation Act is a state-regulated insurance program that helps workers who are injured on the job or suffer diseases related to their occupation. A workers' compensation claim is different from a general personal injury claim. First, to recover on a workers' compensation claim, the employee only needs to show that the injury was work related, not that the employer was negligent in any way. Usually fault or negligence on the part of the employee will not effect his or her Workers' Compensation claim. Further, the fact that the employee had a previous injury or claim concerning the same body part will not invalidate the claim. Unless a defective, unsafe product is involved, allowing for a separate product liability claim, a Workers' Compensation claim is the employee's only recourse against the employer for work related injuries. The compensation an employee is entitled to under Workers' Compensation may be substantially less than the compensation available in a general personal injury claim. Benefits include weekly compensation to disabled workers, medical expenses, partial or total disability, mileage reimbursement, and death benefits. Unfortunately, most insurance companies try to save money at the injured worker's expense. Insurance companies use professional adjusters and lawyers who are familiar with the Workers' Compensation system to protect their rights. But most workers do not know their rights or benefits. 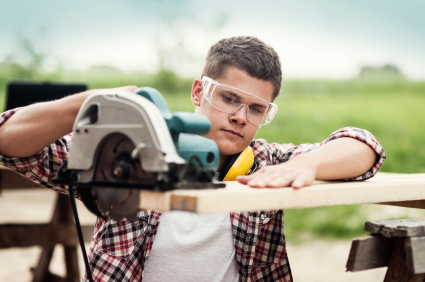 Generally, under South Carolina law, you must notify your employer of a work injury within 90 days of the injury. For carpal tunnel/repetitive injuries cases, the employee must notify the employer of the injury/claim within 90 days of discovery and/or diagnosis, whichever occurs first. Additionally, a claim must be filed within two years. Fortunately, injured workers can hire a lawyer to protect their rights and get them the benefits to which they are entitled. Harbin & Burnett has experienced Workers' Compensation lawyers ready to go to work for the injured. We never represent insurance companies, only injured workers. We represent all injured employees, including illegal or undocumented aliens. Silicosis is an occupational disease caused by inhaling silica dust. It usually affects sandblasters, rock cutters and miners. Harbin & Burnett LLP, has represented workers suffering from silicosis and other work-related lung diseases pursue claims for Workers' Compensation against their employer. Workers suffering from silicosis or other lung injuries may also be able to pursue a separate products liability claim for their injuries. If you, or someone you care about, have been injured at work, call Harbin & Burnett LLP today at 1(888)821-0247 for a free no obligation consultation. Let Harbin & Burnett LLP be your team of experienced attorneys, who will fight for your rights.